Editor’s note: The following is an open letter to the media signed by Fr. James N. Wilson II, a West African Immigrant and Priest in Charge, Holy Trinity Episcopal Church and a member of the Advisory Committee of the West African Family Community Services. The West African Community is greatly devastated by the decision of the Greater Minneapolis Council of Churches (GMCC) to close the West African Family Community Services (WAFCS). The WAFCS program was unique with great success stories. It provided culturally specific West African food 210 to 275 families per month. Its computer literacy program served 25 to 30 students every six weeks with immediate employment successes and a long waiting list of African Immigrants. And the voluntary legal and immigration services served 11 to 13 families with more families with immigration challenges. Despite these success stories, the GMCC, under the leaderships of Interim President and CEO Curt Peterson and Board Chairman John Ratelle, closed the much-needed West African Family Community Services on October 28, 2016. The West African Immigrants Community in the Twin Cities comprises 15 West African Countries: Cameroon, Nigeria, Benin, Niger, Togo, Ghana, Ivory Coast, Liberia, Sierra Leone, Guinea, Guinea Bissau, Burkina Faso, Gambia, Mali, and Senegal, about 75 ethnic groups and over 25 languages. From 1989 to 2000, the Twin Cities became the home of West Africans many of whom were uprooted from their home countries as the result of civil conflicts. The Greater Minneapolis Council of Churches (GMCC), a religious organization, under the leadership of the Rev. Dr. Gary Reierson, used the stories of the influx of West African Refugees and Immigrants in the Twin Cities to create the “Second Century Service Campaign” that appealed to the conscience of generous financial givers. GMCC used the funds from the “Second Century Service Campaign’ to build a “Center for Families” building next to fellowship Baptist Church in North Minneapolis. GMCC’s two reasons for building the Center were to provide services to West Africans and foster mutual cultural relations between Africans and African Americans. The Center opened its doors in February 2006 and provided services to the wider Twin Cities community. 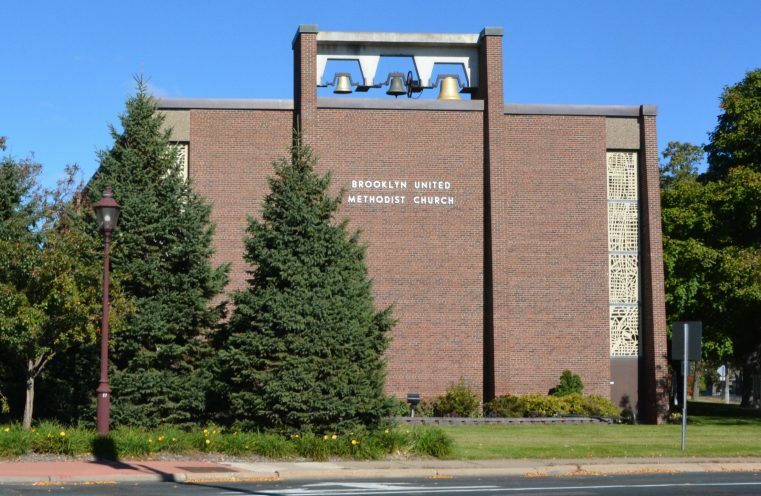 In 2015, GMCC sold the Center for Families Building that was built to house the West African Community and relocated the West African Community services at the Brooklyn United Methodist Church in Brooklyn Center with the promise of buying another building for the West Africans to continue the West African services to the community. The promise was not fulfilled and the GMCC made the decision to close the center. “When a stranger sojourns with you in your land, you shall not do him/her wrong. You shall treat the stranger who sojourns with you as the native among you, and you shall love him/her as yourself, for you were strangers in the land of Egypt: I am the Lord your God.” (Leviticus 19:33-34). Similarly, “You shall not wrong a sojourner or oppress him/her, for you were sojourners in the land of Egypt.” (Exodus 22:21). West African Immigrants are sojourners, most of whom were uprooted from their home countries by civil wars and now found a new home in the Twin Cities. The GMCC’s decision to close the West African Immigrants program comes at a time the culture of xenophobia, anti-Muslims, and anti-immigrants is being perpetuated by some Americans thus denigrating Immigrants in the Country of Immigrants. Moreover, GMCC closed the West African Center under the false impression that it is facing financial crisis when its financial balance sheet shows $4,728,739 total liabilities and Net Assets as at July 31, 2016. The decision to close the West African program is profoundly impacting and hurting the West African Community. Where will the West African Community find the culturally specific food and services that were provided by the West African Family Community Services? Former GMCC staff told us that one million dollars were allocated to continue the West African services. The Advisory Community is asking the GMCC the following questions: How much was the Center for Families sold for? Where are the proceeds from the sale of the building? Where is the one million dollars allocated for the West African Community? These questions are yet to be answered.